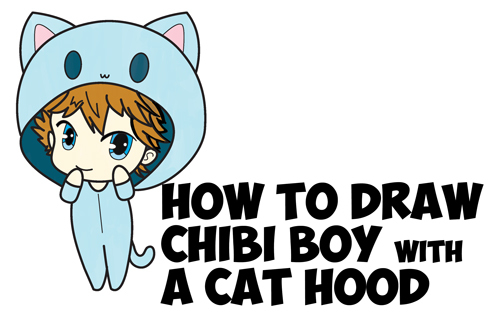 Today I will show you how to draw an adorable, cute chibi boy with a cat hood on - he is super adorable and super easy to draw if you follow along with my instructions. 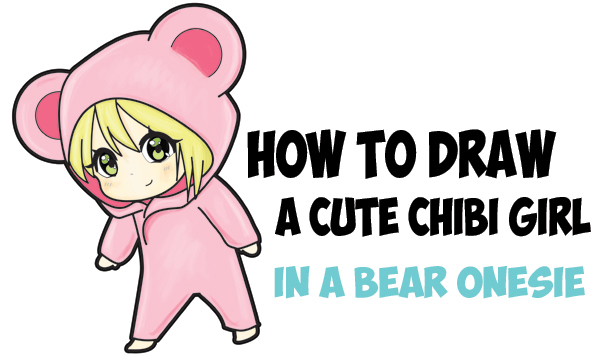 Learn how to draw this chibi with the following easy steps. 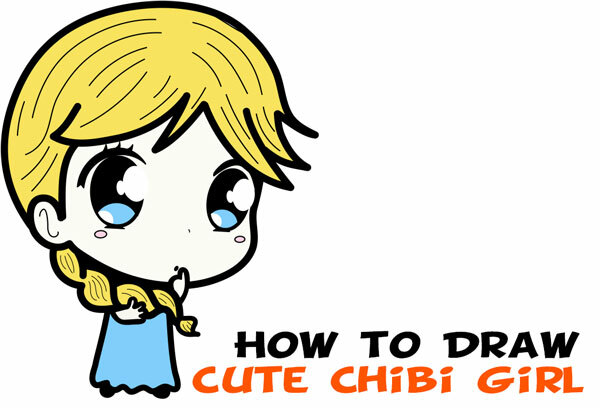 Learn how to draw chibis with this easy to follow, step by step drawing tutorial. 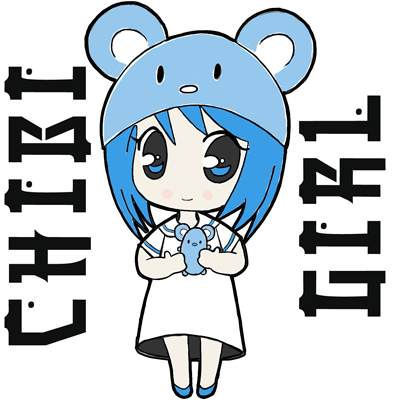 We will guide you thru the steps of drawing a cute chibi girl who is dressed like a mouse and holding a chibi mouse doll.